What a year! 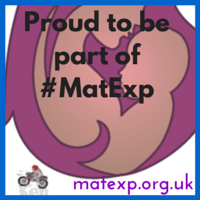 My ‘take’ on #MatExp: building a change platform – by accident! Posted on August 31, 2015	by Gill Phillips - Whose Shoes? Posted on August 10, 2015	by Gill Phillips - Whose Shoes?